Your dentist in Plano Can Brighten Your Teeth With Zoom! Imagine the last time you spent hours working on your class video project. It already took courage to get in front of the camera and speak while being recorded, but now it’s time to show the rest of the class your hard work. You set up the projector and stand in the back of the classroom while your film starts playing and you’re instantly mortified. The moment you start speaking, your eyes hone in on your yellowed teeth dancing across the screen. 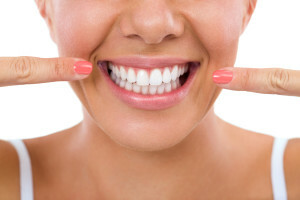 Parkway Vista has a dentist in Plano that can fix your smile so that you never have to feel that sinking feeling again. Our practice offers in-practice and at-home teeth whitening that will instantly raise your confidence. Unfortunately, there are many ways that your smile can become discolored. If you smoke, enjoy drinking wine, or just have discolored teeth from passed down genetics, the enamel of your teeth may be stained. Sometimes, the stains have sunk too deep into the enamel and dentin of your tooth for over the counter whitening to give you the results you’re really desiring. Parkway Vista has two solutions that can help you reach your whitening goals. A large number of patients prefer to whiten their teeth in the comfortability of their own homes. Were happy to provide professional at-home whitening kits that are much more powerful than any over-the-counter whitening system at your local drug store. Our at-home whitening kits provide the same dramatic whitening results that our in-practice bleaching offer, just at a more gradual pace. At Vista Parkway, we’re proud to use modern technology and help our patients in their day-to-day lives. One of the most popular cosmetic treatments we offer is Zoom! Teeth whitening. In-practice whitening has several advantages including predictable, dramatic results and inclined safety for patients. Not to mention, you can achieve the whitening results you’ve been longing for in an hour or less! No matter which whitening treatment you decide to choose, maintaining good dental hygiene and meeting with your dentist are the keys to maintaining a bright, healthy smile. If you practice brushing your teeth twice a day and flossing and meet with your dentist at least semiannually, your smile will continue to amaze your peers. For long-lasting results, avoid foods and drinks that are dark in color, like berries and wine, right after your bleaching treatment. If you’re interested in dramatically changing your smile with our teeth whitening treatments, please contact our Parkway Vista office. At the very least, we can arrange an open-minded consultation with Dr. Kamali to discuss your smile goals and see if there are any other cosmetic treatments that may be right for you.